Previously, Mr. Grossman was the President and Chief Executive Officer of Sandy Alexander, Inc., one of the country’s leading and most highly regarded graphic communications companies serving the corporate communications, cosmetic, pharmaceutical, automotive, graphic design, advertising and promotion industries. Under Mr. Grossman’s leadership, Sandy Alexander became a leader throughout the industry for its broad range of integrated product solutions including high-end commercial web and sheet fed printing, in-line finished and personalized print products for the direct mail industry, digital printing with variable data imaging and specialty flexo label printing. Mr. Grossman also helped lead Sandy Alexander to the forefront of environmental responsibility within the industry. Mr. Grossman began his professional career in 1974 with the Procter and Gamble Company, after graduating with a BA degree from Bucknell University. He entered P&G as sales associate, and was rapidly promoted to the position of unit sales manager. From 1977 to 1991, Mr. Grossman served as vice chairman of Laurel Printing. In 1991, Mr. Grossman joined Sandy Alexander as managing director. In addition to his efforts at MSP, Mr. Grossman has been an active and influential leader for the printing industry, whose accomplishments have been broadly recognized. He currently serves on the Executive Committee of the Print Council, a national industry initiative to promote the print medium. He is a former director and past chairman of the Association of Graphic Communications, which at the time was the largest metropolitan NY area industry association. In addition, he has received numerous awards including the AGC power of Communications Award for Printing, the Florence & Leo Joachim Award for outstanding contribution to the printing industry, and is an inductee of the RIT/Printing Impressions hall of Fame. Mr. Grossman also served for fourteen years as a Trustee of Peddie School in Hightstown, New Jersey, has participated in a strategicrole for many philanthropic fundraising campaigns, and is a generous supporter and contributor to numerous national and local charitable organizations. 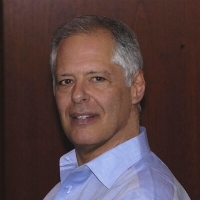 Previously, Mr. Fogel was Senior Vice President of Sandy Alexander, Inc., one of the country’s leading and best managed graphic communications companies serving the corporate communication, cosmetic, pharmaceutical, automotive, graphic design, advertising, and promotion industries. At Sandy Alexander, Mr. Fogel’s managerial responsibilities included directing the company’s marketing, advertising, public relations and corporate communications efforts, as well as community and government relations, human resources, and information technology. Mr. Fogel began his professional career as part of Grey Advertising’s account management team after graduating with a BS degree in business administration from Boston University. In addition to Grey, Mr. Fogel held senior account management positions as a vice president at Saatchi & Saatchi Advertising and Partners & Shevack. In 1992, Mr. Fogel joined Sandy Alexander as Senior Vice President. In addition to his efforts at MSP, Mr. Fogel is a key leader and has played a very active and influential role in the printing industry. He currently serves on the marketing committee of the Print Council, a national industry initiative to promote the greater use of print. He is also a former director and past Chairman of the Association of Graphic Communications, at the time an affiliate of the Printing Industries of America and the metropolitan NY area’s largest industry association. Previously, Mr. Stine had been Executive Vice President of Sandy Alexander, Inc., one of the country’s leading and best managed graphic communications companies serving the corporate communication, cosmetic, pharmaceutical, automotive, graphic design, advertising, and promotion industries. At Sandy Alexander, Mr. Stine was responsible for managing the sales effort at the company’s four manufacturing locations and its national sales offices. He was also instrumental in implementing the company’s environmental strategy beginning in 2005, which resulted in the largest commitment to the utilization of 100% renewable wind energy at that time and improvement programs in energy efficiency, recycling and environmental awareness. Mr. Stine began his professional career in 1974 with Laurel Printing, after graduating with a BS degree from Bucknell University. In 1991 Mr. Stine joined Sandy Alexander as a managing director. During the time that Mr. Stine had been with the company, Sandy Alexander grew to be an industry leader in technological advancements and environmental responsibility. For over a decade Mr. Stine had been instrumental in broadening the company’s reputation on a national level, providing a blend of operational expertise while developing a sales presence in key geographic markets throughout the U.S., and initiating one of the most aggressive and widely respected environmental initiatives in the printing industry. In addition to Mr. Epstein’s participation in MSP, he is also a managing partner of New Canaan Capital, LLC, a merchant banking organization that has owned a variety of private companies in the manufacturing, healthcare, food services and real estate industries. Mr. Epstein’s portfolio of companies has consistently demonstrated significant growth and increased value as a result of his ownership. Prior to establishing New Canaan Capital, Mr. Epstein built and managed a diversified portfolio of public and private investments. Included were A. Colish, Inc, and Americom Graphics, Ltd., two graphic arts organizations that became part of Sandy Alexander, Inc.
Mr. Epstein was also the founder, president and principle owner of Stendig International, Inc., an importer and manufacturer of architecturally designed furniture, as well as a co-founder of Atelier International, ltd, also an importer and manufacture of architecturally designed furniture. Mr. Epstein began his career with accounting firm David W. Katz & Co. after graduating from the University of Pennsylvania’s Wharton School with a BS degree in economics. While at Katz, Mr. Epstein specialized in personal financial management and income tax strategic planning.